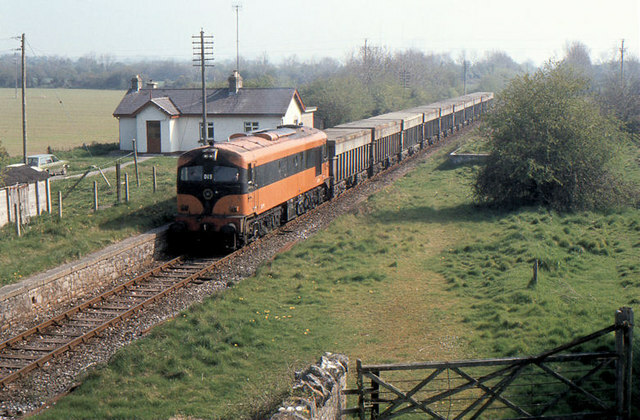 CIE locomotive 019 passing the closed station at Duleek (1850/1958) with a train of empty wagons from Dublin. The view is from the Commons Bridge on the Duleek – Donore road. O0470 : Railway Station, Duleek, Co. Meath shows the station (without a train) in July 2008. O0470 : Tara Mines wagons, Duleek shows the wagons and their lids.